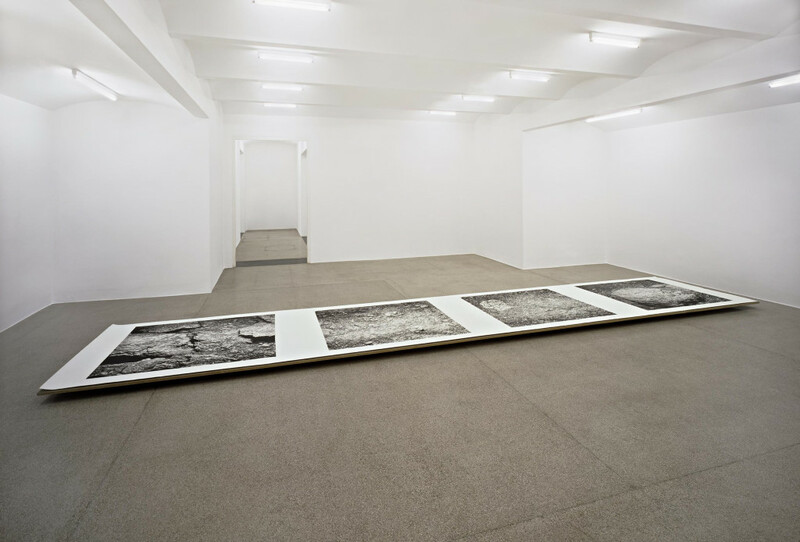 The Vienna-based artist Klaus Mosettig is presenting a selection of recent drawings in the Secession’s Gallery. Mosettig conceives his works in groups that, while differing in terms of subject matter and appearance, are based upon a consistent basic attitude. The Apollo 11 series goes back to a sequence of slides that Mosettig found at a flea market. 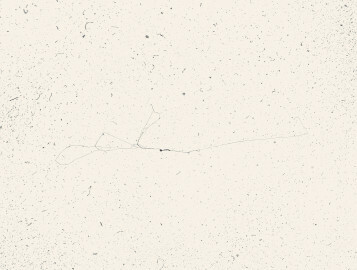 The pictures are close-ups of the surface of the moon taken in the course of the first moon landing in 1969. Klaus Mosettig is not interested in the historical dimension but rather in the abstract nature of documentary images that cannot be interpreted unequivocally without context. The motif is not the moon but rather actual slides and their projection, meticulously transferred onto the paper base. Projection as a common device in current image production is as much a topic as the gesture of artistic representation in general in the traditional medium of drawing. 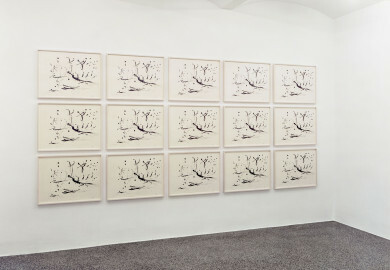 In Mosettig’s work, the drawing consists throughout of hatchings of constant direction and density. What appears immaterial from a distance turns out on closer inspection to be a field of painstaking manual processing that emancipates itself from the events depicted. 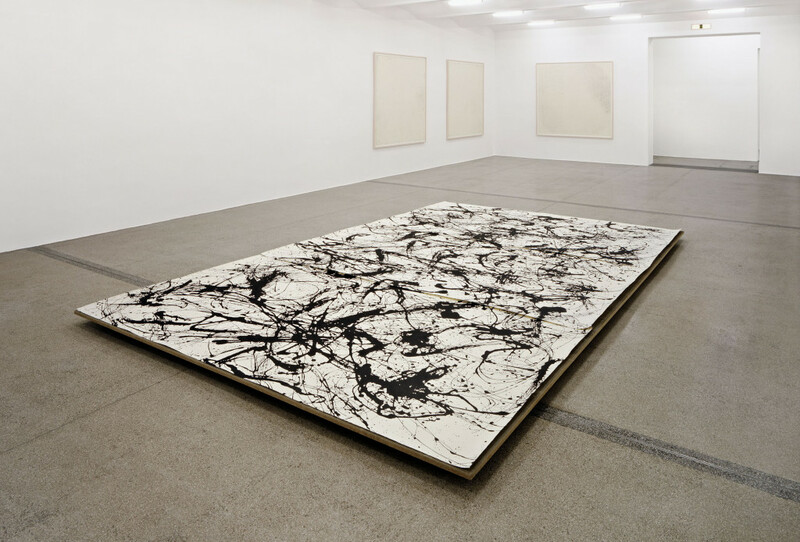 Similarly, Mosettig picks up on paintings by Jackson Pollock. His version of the large-format Number 32 from 1950 (Kunstsammlung Nordrhein-Westfalen, Düsseldorf) has the same dimensions as the original and was also created on the basis of a slide projection. 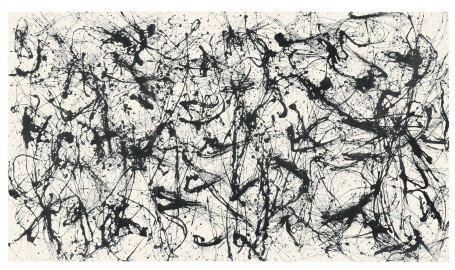 The media transformations turn Pollock’s dynamically cast streaks of paint into a nervous, jittery web. Pollock’s pictures rank equal alongside other visual source material, but, being art, provide the additional opportunity of taking an ironical angle on stale, but long-lived categories of viewing art (authenticity of the painterly gesture, authority of the visionary artist subject) by means of grotesque inversion. 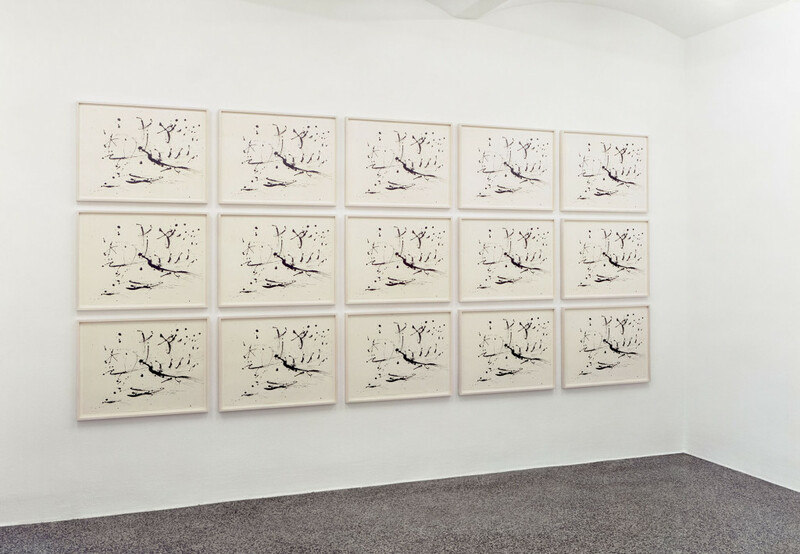 Another important aspect in this context is the horizontal presentation of Mosettig’s work, that upsets the concept of drip paintings that, while produced on the ground, are traditionally hung on the wall. 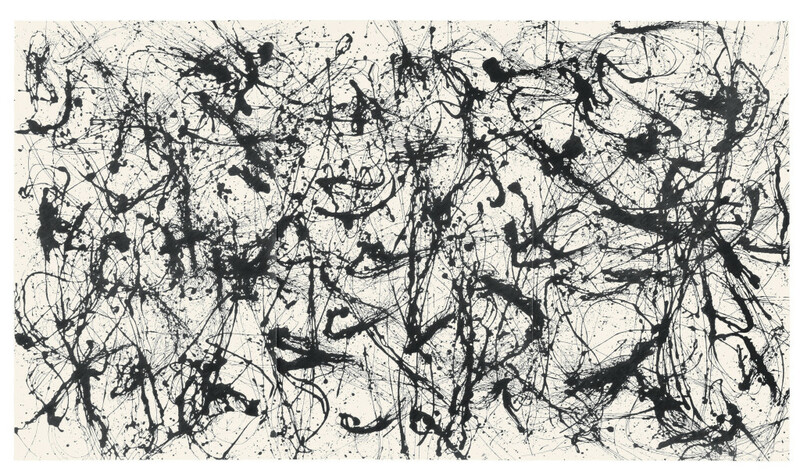 Finally, Mosettig’s fifteen-fold graphic repetition of an ink drawing by Pollock puts the idea of the unique original and the practice of art-market reproduction into an inextricable tension by fusing both into a paradoxical whole. 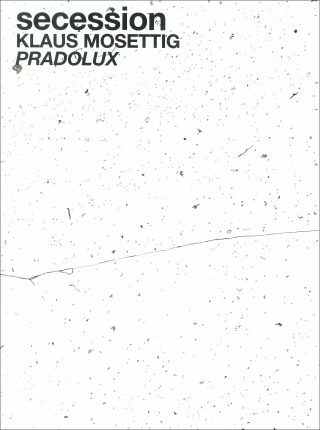 The title of the exhibition Pradolux, finally, derives from a third complex of works. 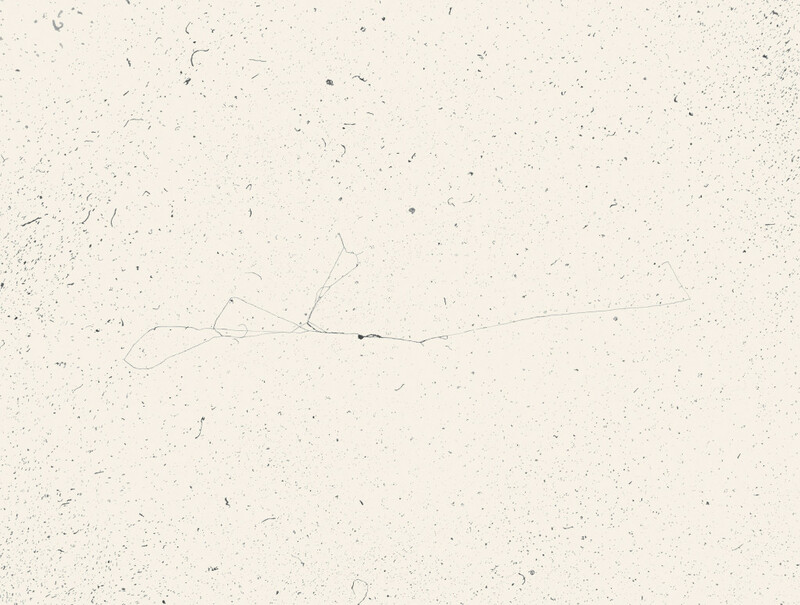 The subtlest marks, that make the sheets look like negative images of a starry sky, are nothing but dirt on the lens of a slide projector, that Mosettig focused on in the truest sense. Once again, we see a consistent aspect of Mosettig’s art: The painstaking “objectivity” of random structures in fact fails to provide any gain in knowledge about the object, but pressurises borderlines and destabilises orientations. Klaus Mosettig, born in Graz in 1975, lives and works in Vienna.